Why your Mortgage Company Website Design is Important. While a well-designed website can benefit any business, mortgage websites are essential to mortgage companies for generating leads. No other lead generation method is more powerful than the internet! The leads generated through a mortgage website are highly targeted and they come with a great deal of personal information a mortgage company can use to help them gain the trust of the potential customer, and ultimately, gain a new client. Working hand and hand with a good web designer, a good mortgage company website design can portray a professional image while at the same time incorporating keywords and key phrases into their website copy that will draw in potential clients through the major search engines like Google and Bing. 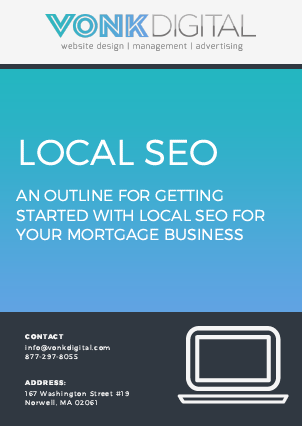 In fact, if a mortgage company offers a variety of different types of loans and/or caters to more than one type of customer, they can use different keywords on different pages to target different types of customers. Instead of targeting different types of customers on different pages of a single website, a mortgage company can also opt to work with web design professionals to produce multiple websites, each designed to draw in different types of customers. This can be a very effective strategy of generating different types of leads. For example, a website needed for a customer with excellent credit and a good down payment may be very different than a website for consumers with difficult credit issues. A mortgage company may decide to build a website that targets customers looking for a very specific type of mortgage loan such as VA loans for veterans. In addition to lead generation, mortgage company website design adds a great deal of value in other ways too. For example, a good web designer can set up a customized form on the mortgage company’s website designed to collect enough information to pre-qualify potential customers and/or determine which loan officer might be best to handle the specific case. Once the website is professionally designed and goes live, the URL can also be submitted to various business directories and professional organizations such as the chamber of commerce. Professionally designed mortgage websites can also put smaller mortgage companies or mortgage brokers on a more level playing field with larger mortgage companies. To this end, a professionally designed mortgage website can give potential customers just as good an impression as walking into a well-designed office with expensive high end furnishings and original artwork decorating the walls. If you work in the mortgage industry, give us a call or use our contact form so we can discuss the various mortgage company website design options we have for you. 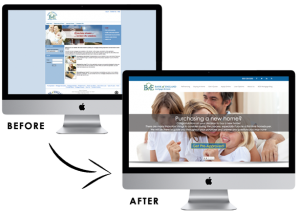 We realize that every company is different and we can also customize your mortgage company website design in any way you want.